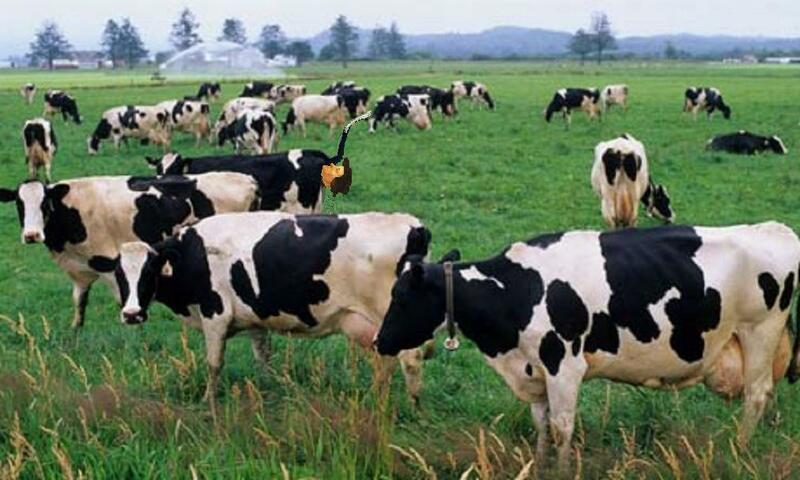 You've no doubt seen "Where's Wally?" or, for some of you, "Where's Waldo?". Preparing a lecture on Luke-Acts recently it struck me how many of the pneumatological debates between charismatics, Pentecostals and non-charismatics can be dealt with by recognising that pneumatology, in Luke-Acts, is a subset of restoration eschatology. Of course, my own supervisor, Max Turner, is the main man on this subject (cf. his classic Power from on High: The Spirit in Israel's Restoration and Witness in Luke-Acts) so this realisation should have hit me sooner! The cure for the endless logic chopping in terms of one's own experience and the allowing of inappropriate driving questions (e.g. was I filled [or baptised] with the Spirit after or at the same time as I was 'saved'?) is to wrestle with the eschatological-geographical-restoration shape of Luke-Acts. I wonder if any of you kind folk could help me with a reading list for the question "How should the apocalyptic language in the Olivet Discourse be understood?" All the more significant as this evening was spent with a direct blood descendent of Arthur Guinness, the originator of the now famously named drink. But just so you know, Guinness is filthy black vile slop straight from the blocked u-bend of Satan's own kitchen sink. I just don't understand why people willingly swallow the stuff. This raises a whole set of doubts in me about humans made in the image of God, epistemological realism etc. Pass an empty pint around a pub and ask people to spit in it, add black ink and crumble dandruff on the top = Guinness. Right, I feel better now that I got that off my chest. I'm not one to bash the NIV, especially not in the 'KJV 1611 only' sort of way, nor do I think of it is the Nearly Inspired Version as if the KJV was somehow purer. That is just silly. In fact, I most enjoy reading biblical prose in the NIV. But reading through Paul in the NIV recently it struck me that the translators often side with an anthropocentric-individualistic reading. So at key points it has 'a righteousness from God' instead of God's own righteousness, 'faith in Christ' instead of the faithfulness of Christ, 'if anyone is in Christ, he is a new creation' (2 Cor. 5:17) instead of 'if anyone is in Christ, there is a new creation', 'put to death … whatever belongs to your earthly nature' (Col. 3:5) instead of 'earthly members' (where did the NIV get the word 'nature' from? – Paul thinks of the death of the whole person, not just a bit of the Christian) etc. This is not to say the NIV is wrong about these exegetical judgments (though I think they are), but it is the consistency that gives pause for thought. So I ask, did the translators of the Pauline sections of the NIV function with a restricted anthropocentric-individualistic hermeneutic, one that Paul would perhaps say has insufficiently grasped the wide creation-to-new-creation scope of the gospel? Well I think they're funny! ... preparing a ton of lectures. I have learnt something about books introducing Paul of late. There are too many good ones out making it difficult to recommend only one to students. There is Tom Wright's What Saint Paul Really Said; Paul: Fresh Perspectives, Michael Gorman's Reading Paul, Mike Bird's A Bird's-Eye View of Paul and a recently discovered gem by David Horrell, An Introduction to the Study of Paul which was enormously useful ... and others could be mentioned. Which to recommend to students? A difficult choice. Perhaps start with Gorman, move into Bird then Wright, then Horrell, before dipping into Dunn (The Theology of the Apostle Paul)? But that is way too much introduction level material so I need to choose one. It is going to be tricky. 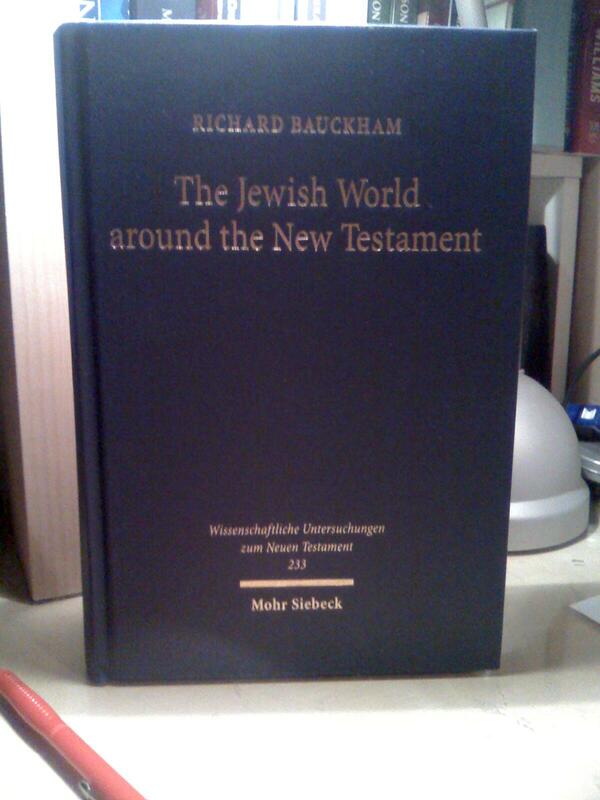 A huge thanks to Richard Bauckham for kindly sending me a signed copy of his new Mohr Siebeck collection of essays, The Jewish World around the New Testament – a book I mentioned previously here. It is almost all I've been reading for the last few days ... it makes for hundreds of pages of immensely stimulating reading, and not a few 'aha' moments. Sometimes the depth of Richard's scholarship is quite intimidating for those of us who spend hours every day in research but still know we are light years behind in knowledge. But I noticed that the oldest essay in this collection was published in 1976 – just a year after I was born! Somehow that comforted me! My thanks again, Richard. Not sure if the "I'll send you my book when it is published" line really carries too much significance, but I will do! Boy oh boy I am working through a VERY busy period at the moment, so any thoughts on the following will be appreciated. The essay titles are for second year undergrads. Jesus said that 'the kingdom of God has come near'. What might he have meant? Why is the resurrection of Jesus so important for the first Christians? How should the apocalyptic language in the Olivet Discourse be understood? Bear in mind that obscure or expensive books may not be at the top of my list to order for our library! Seriously, your thoughts are much appreciated as ever. UPDATE: As this post was completely unclear (I was very tired when I wrote it!) let me try again: the essay titles are already fixed (not related to the previous but one post) and I wanted suggestions for a reading list for each essay. Help is appreciated! 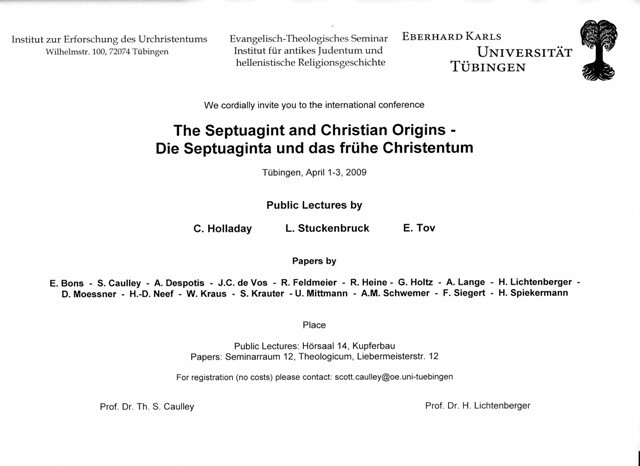 I recently blogged about an up-coming Tübingen Symposium, 'The Septuagint and Christian Origins'. 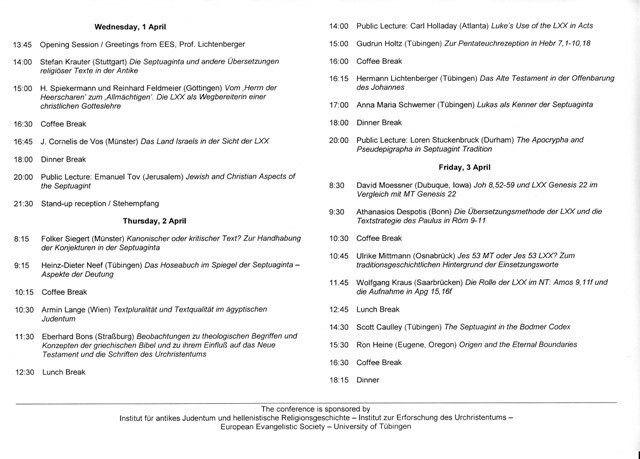 Scott Caulley e-mailed me a couple of days ago to announce that Prof. Hengel will sadly not be participating in the conference. The updated programme can be viewed here and here. You think Paul actually wrote Titus? BWHAHAHAHAHAHAhahahahah. Why is it pseudepigraphal? What Would Jesus Do? and other hermeneutically sensitive questions: Should we always choose twelve disciples, curse fig trees, enter Jerusalem on a donkey etc.? How many full-stops in the whole of the New Testament? Don't proof text in your response. Carson and Dunn in a boxing ring. What happens next? I would actually appreciate any thoughts you have on good essay titles for a first year degree course (introduction to the NT). Thanks to Paternoster for a review copy of What are we Waiting For? Christian Hope and Contemporary Culture, ed. by Stephen Holmes and Russell Rook. Few things make for as much fun as bashing certain forms of crazy popular evangelical eschatology with a decent bit of scholarship. This volume includes essays, under the section headed Hopeful Word by Stephen Holmes ("Introduction: The dangers of being Left Behind"), John Goldingay ("Eschatology in Isaiah"), I. Howard Marshall ("Eschatology at the Heart of New Testament Theology"), Richard Bauckham ("Eschatology in the Book of Revelation"). Under the heading Hopeful Church there are essays concerning eschatology and the Church Fathers, evangelical history, mission, hell and heaven. Under the heading Hopeful Culture there are essays on eschatology and such themes as imagination (by St Andrew's Trevor Hart), pop culture and politics (by Luke Bretherton of King's College), including other issues. 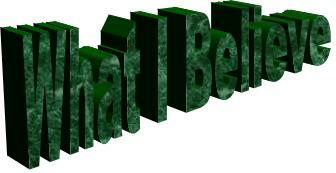 The final section, Hopeful Word, deals with environmental issues, among other matters. In other words, there is a wealth of helpful information here all rightly motivated by the claim eschatology rightly conceived is of profound relevance for contemporary life. Some will find essays in this book provocative yet it could just be the best inoculation against the various whack-job eschatologies on the market, especially those haunting the evangelical bookstalls. Speaking of eschatology, I am rather excited that we have Andrew Perriman (author of RE:Mission; The Coming of the Son of Man, Otherways) guest lecturing at St Mellitus next week.